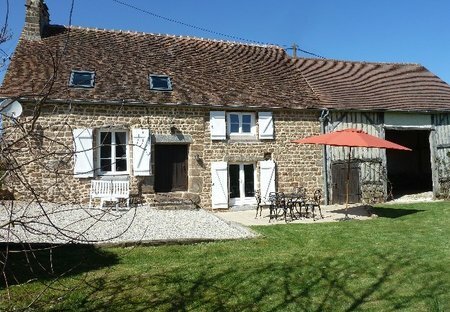 Rent cottages in Saint-Bômer-les-Forges, France. Book affordable holiday rentals that are near a beach and golf course. This cottage/south oriented old restorative FARM-HOUSE. In the middle of Normandy situated on a lake with sandy beach!!! Motje (cottage) is a south oriented restorated FARM-HOUSE IN THE COUNTRY very cheap to come/nightboat The owner has developed a uge information file wich asure you to make the best of your stay.